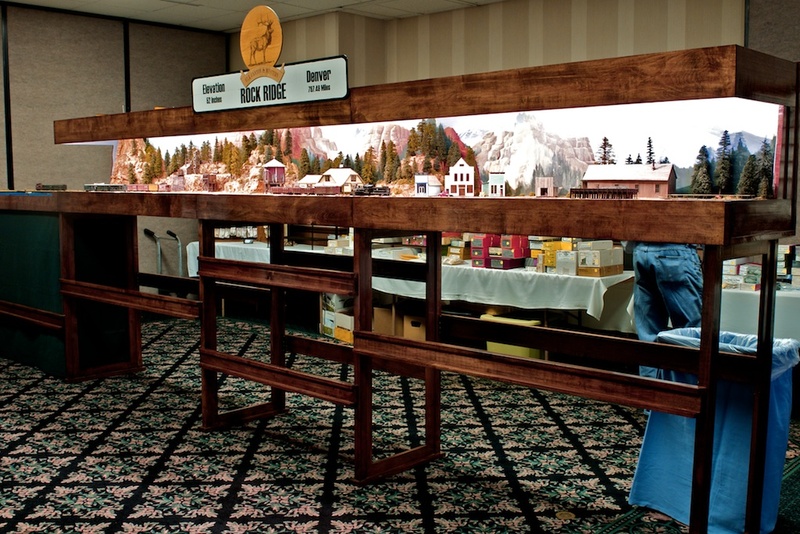 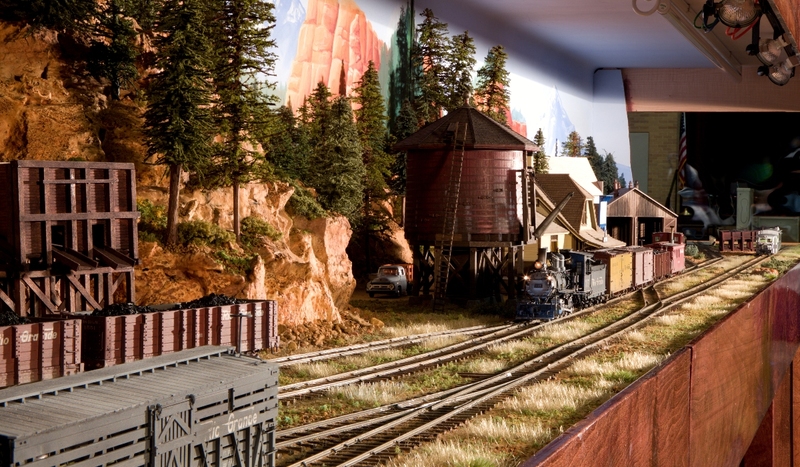 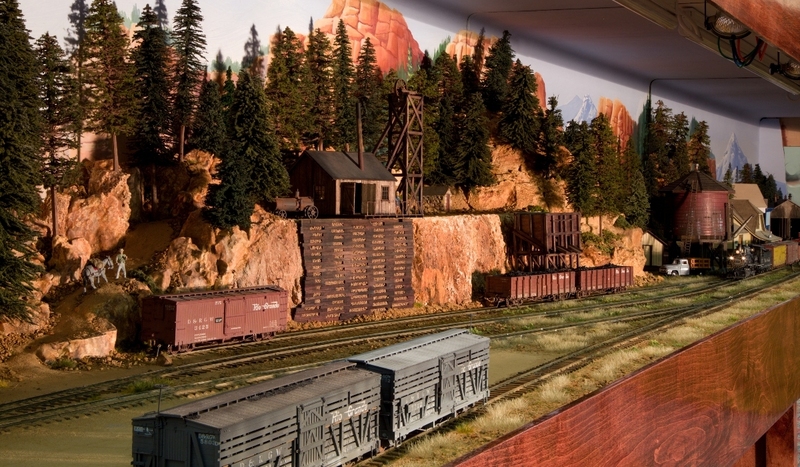 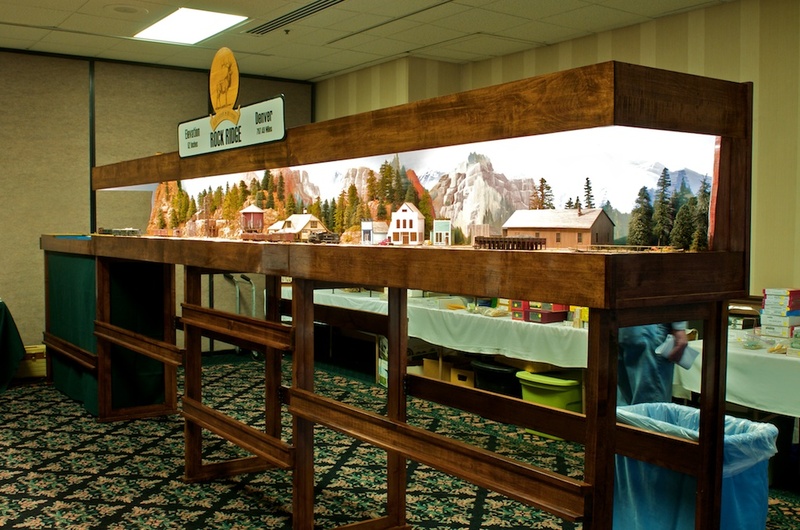 The Elk Creek & Western is a portable display layout in Sn3, with trackage inspired by the D&RGW in Ouray, Colorado. 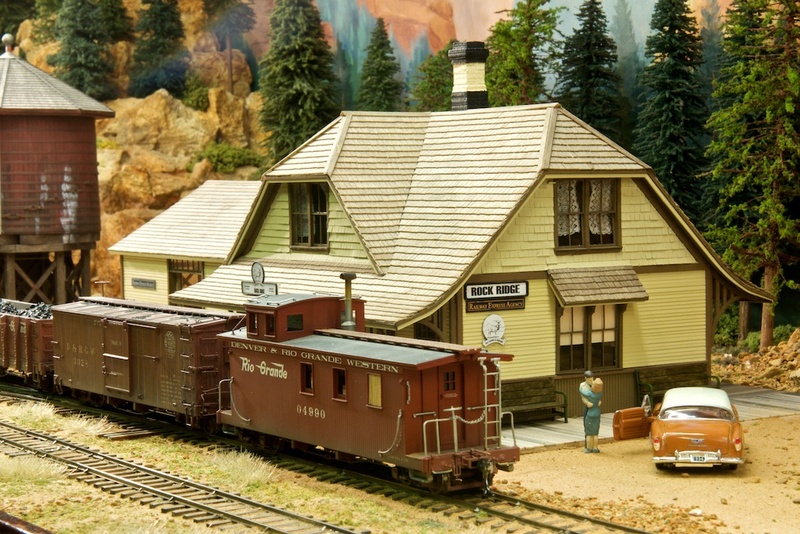 The layout was built by the North Texas Narrow Gauge Group, who are located in the Dallas, Texas area. 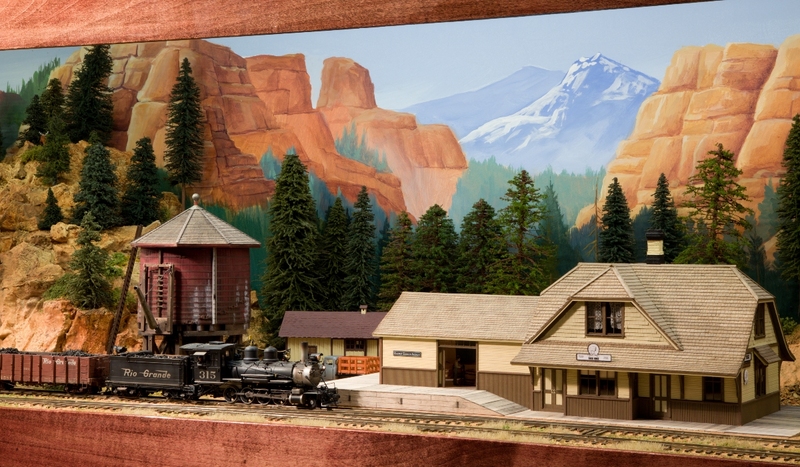 It features quality construction, scenery and lighting, and uses DCC.